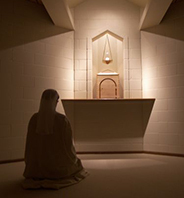 The Cistercian way of life is cenobitic. 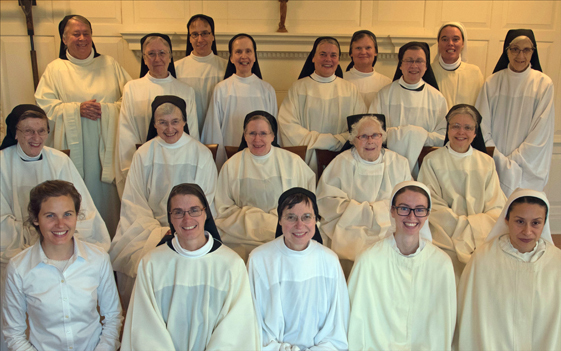 Cistercian nuns seek God and follow Christ under a rule and an abbess in a stable community that is a school of mutual love. Since all the sisters are of one heart and one mind, they have everything in common. By bearing one another's burdens they fulfil Christ's law, participating in his sufferings in the hope of entering the kingdom of heaven. The quietness of mind cultivated by silence is also the fruit of purity and simplicity of heart. 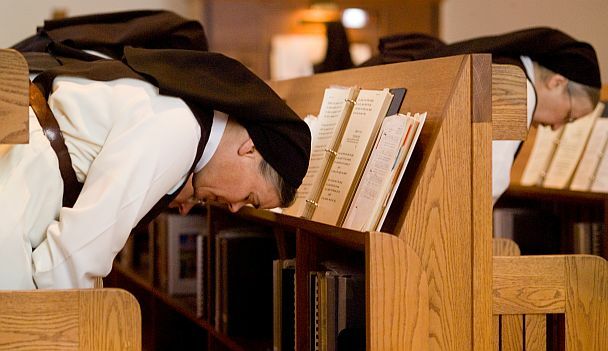 For this reason the nun, in a spirit of joyful penitence, is to embrace willingly those means practised in the Order: work, the hidden life and voluntary poverty, together with vigils and fasting. Those who prefer nothing to the love of Christ make themselves strangers to the actions of the world. In the monastic tradition this involves a certain degree of physical separation. 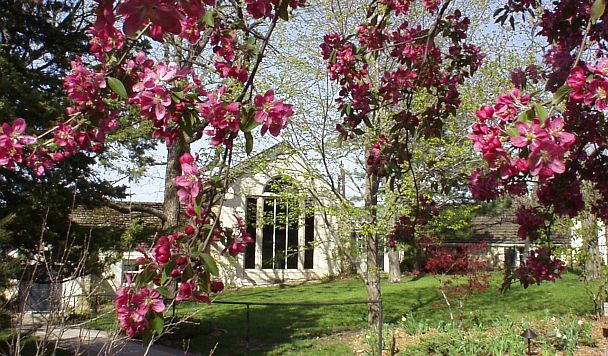 For this reason, the monastery is built so that it completely safeguards the quiet and solitude of those who reside there. The Eucharist is the heart of Christian prayer, and for centuries Catholic monastics have celebrated Mass daily. It is a commemoration of the death and resurrection of Jesus Christ, who loved us so much that he gave his own body and blood for our redemption. In the Eucharist the Word of God is proclaimed, and bread and wine become the body and blood of Christ, given to us to eat and drink. Cistercian monks and nuns of the Strict Observance constitute a single Order. They participate in handing on the same patrimony. They collaborate and give mutual help in many ways, having due regard to their healthy differences and the complementarity of their gifts. 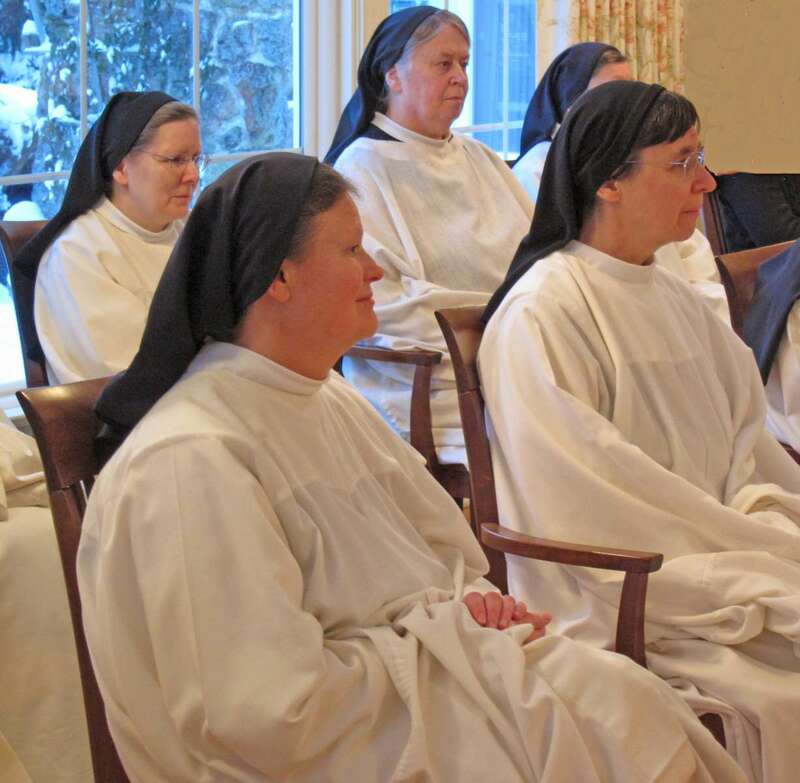 By the vow of conversatio morum or fidelity to monastic life a sister who, in the simplicity of her heart, seeks God by the following of the Gospel, binds herself to the practice of Cistercian discipline. She retains nothing at all for herself, not even authority over her own body. She renounces the capacity of acquiring and possessing goods for herself. 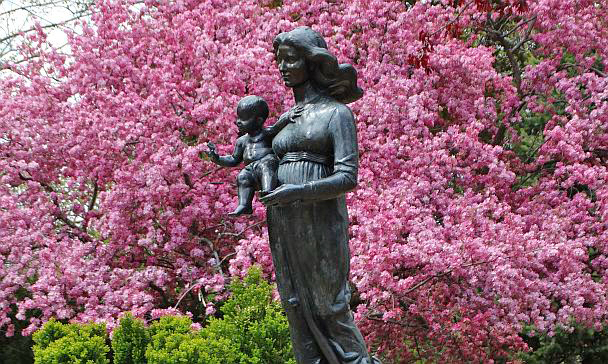 For the sake of the Kingdom of heaven, she makes profession of perfect continence and celibacy. The monastery should be conspicuous for its simple and pleasant appearance. 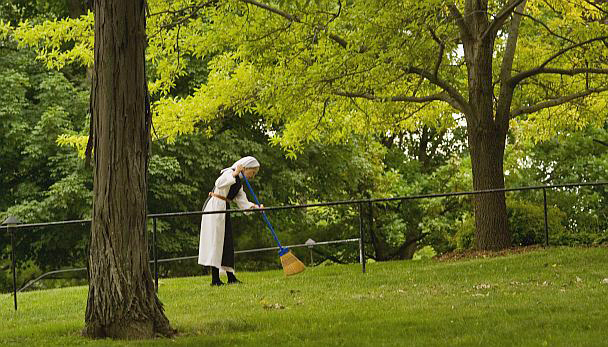 The sisters are to be concerned about conservation of the environment and to manage natural resources prudently. In the sober anticipation of the coming of Christ, following the tradition of the Order, the hours before sunrise are appropriately consecrated to God by the celebration of Vigils, by prayer and meditation. 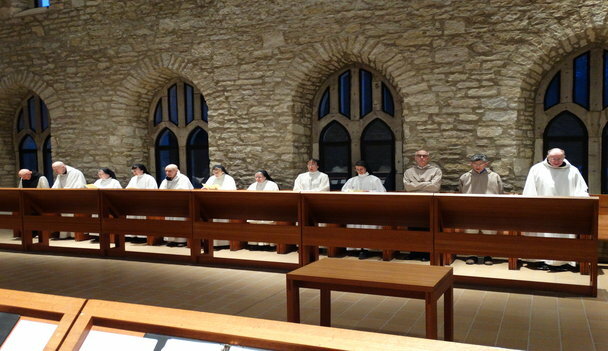 Mississippi Abbey is a community of women in Iowa who belong to the Order of Cistercians of the Strict Observance. We are a contemplative community who follow the Rule of St. Benedict. The call to enter a monastery is Christ's invitation to seek him in a particular community, place and manner of life. Entering a Cistercian monastery involves a long process of discernment. 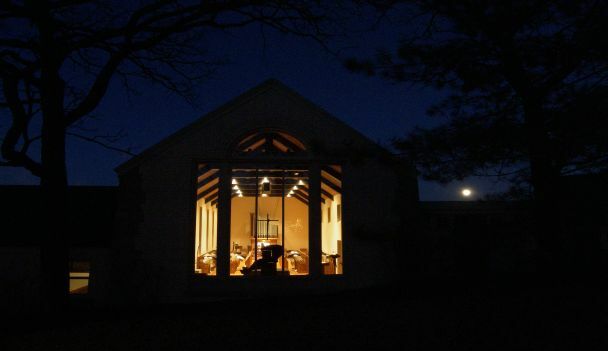 Join us for prayer, or come retreat in one of our guest homes. Do you like creamy caramels? Support us by shopping our candy site.